Please ignore the avocado and bagel seeds…. they do not find their way into this smoothie! Mindy, Mindy. If you only knew how much I missed your vegan sausage patty breakfast sandwiches, your tofu cutlets, the fresh squeezed grapefruit juice you bring me while I’m still in bed, and alas, your mint julep smoothies. My friend Malinda, aka Mindy, is one of my favorite people in the world. I could list all the amazing things about her, but we all have best friends we feel this way about. She is such a caring person, and has all those motherly dispositions that I love in all my girl friends. We have been sharing recipes for years, and no matter how many times I try to replicate some of hers, they never, and I mean never, turn out as well. Suffice to say, had she made this recipe, it would be ten times better than mine. I’m not entirely sure why she calls it a mint julep smoothie, as there is no rum, or sugar. I have also altered this a tad, adding some chia seeds for a morning boost. We all know how food fads come and go (kale, flax, quinoa, kombucha), and how each year a different ‘super-food’ so to speak plays a larger role. This year I think it would have to be Chia seeds. 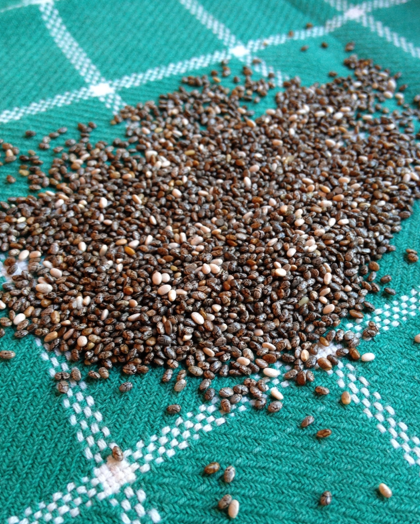 Chia seeds, much like flax seeds are high in omega 3’s and 6’s, something we all need more of. They are also high in fiber. When using them in recipes, chia seeds get gelatinous like ground flax, only you don’t need to take that extra step and ground chia seeds. My two favorite things about this smoothie are the fresh, cooling flavors the mint brings, and creaminess you get from the tahini. 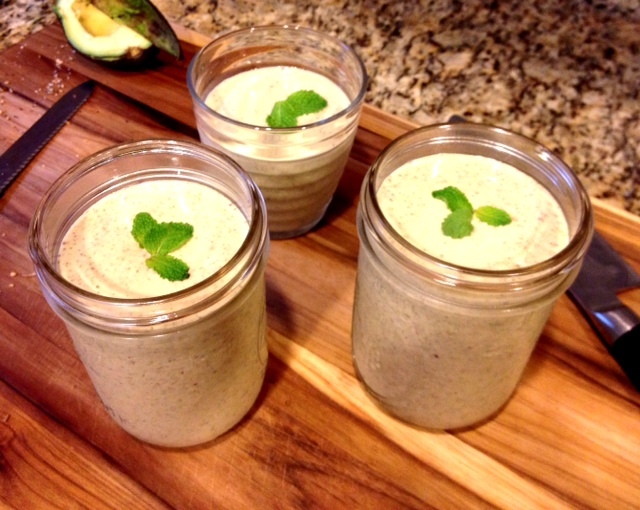 Tahini being another one of my favorite versatile ingredients, loaded with protein and dietary fiber. Run on high till smooth. If its too thick to your liking add a tad more almond milk to thin it out. This summer I fell addict to Health Warrior’s Chia coconut bars. They are so dreamy, and the perfect pick me up snack! Health Warrior also has an amazing list of athletes that consider themselves in the chia tribe. Each serving (approx. 2 Tbl.) 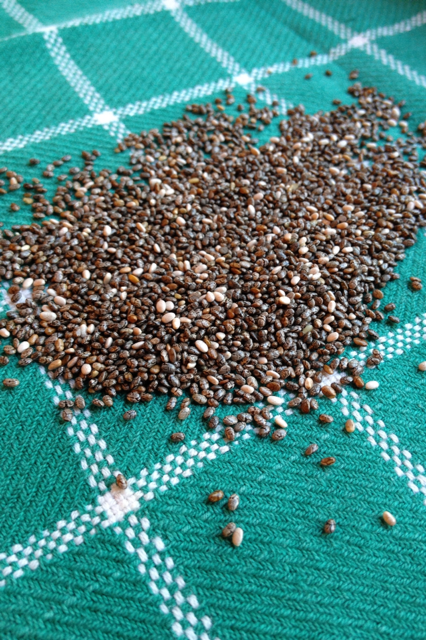 of chia seed contains five times the omega-3 content of a 1/4-cup serving of walnuts, twice the iron and magnesium of a cup of spinach and more than twice the fiber of a cup of oatmeal. Now that is a superfood! Chia seeds are also great sprinkled over oatmeal, cereals, in granola bars, and I love em in raw crackers. Enjoy! This entry was posted in Breakfast, Natural Health and tagged Annapolis, Chia seeds, Health Warrior, Mint Julep Smoothie, Peach.